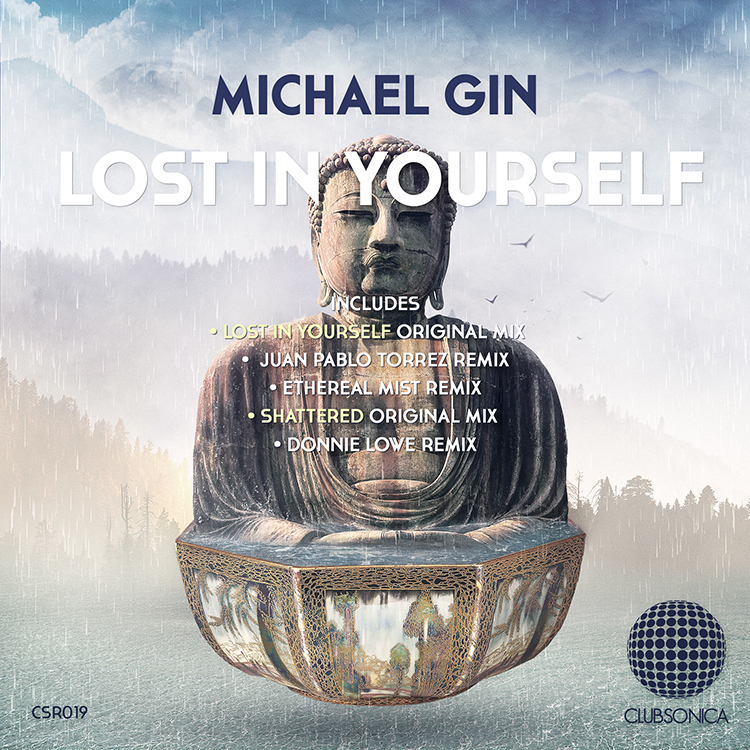 Clubsonica Records welcomes Michael Gin to the label for his debut EP. Michael has quickly become one of the USA’s most hotly tipped progressive house artists. Releases on Lonya’s Asymmetric Records and Darin Epsilon’s Perspectives Digital have both been sensational. Michael makes his long awaited debut on Clubsonica Records alongside remixes from Juan Pablo Torrez, Ethereal Mist and Donnie Lowe. The release begins with ‘Lost In Yourself’ and finds Michael crafting a deep and enchanting number. Led by a spacious groove and strong rhythmic elements it’s clear Michael’s years of experience behind the decks have served him well. Airy atmospheres soon descend over the chugging beats as wispy vocals drift through the framework and carry the track into the break. The serene centerpiece, with all its emotive powers keeps a great sense of groove as waves of percussion continue to flow, building just enough tension to foreshadow an exhilarating conclusion. The first interpretation of ‘Lost In Yourself’ is provided by Juan Pablo Torrez. The Colombian artist and Clubsonica label boss had a breakout year in 2015. A joint production with Kamilo Sanclemente proved to be the highlight, earning months of live play from Hernan Cattaneo. With a more energetic and uptempo approach the Colombian artist has delivered the perfect complement to Michael’s laid back original. Anchored by tough beats and a driving groove, Juan reworks the vocals in his own ethereal style as the percussion drives the track towards the break. A highlight of the piece, the break builds sizeable tension with phasing vocals and sheets of white noise converging for the ultimate dance floor moment. This one’s big and expect to be hearing it a lot in the coming months. The second and final interpretation of ‘Lost In Yourself’ is provided by Ethereal Mist. Taking things into moody territory the Colombian producer adds his own subtle motifs and trippy accents for the ultimate musical collage. Always one for an emotive breakdown, Ethereal Mist lifts the mood with shimmering keys and quirky melodies while the grungy low end keeps the groove locked. With a great sense of anticipation the beats drop and a band of swirling synths and floating harmonies take you home. The companion piece ‘Shattered’ finds Michael going deeper and more subversive with great results. Anchored by warm mounds of bass it rolls forward with a fluid momentum and understated elegance. Wispy vocals wash over the framework as processed keys tantalize the senses, leading into a brief but highly emotional break. The lone interpretation of ‘Shattered’ is provided by Donnie Lowe. With a beefed up and funkier foundation the dance floor sensibility is immediately apparent. Waves of claps, intricate electronics and a soft tonal theme highlight a strong first act before a well executed break laced with drum fills foreshadows a brilliant finale. A superb remix from Donnie which rounds out a fabulous release on Clubsonica Records in style. Don’t miss it.